A GARELOCHSIDE man who made made the supreme sacrifice in World War One won the same gallantry medal twice. Sergeant Norman Connor was born in Garelochhead on June 7 1896, and killed in action on September 4 1917. 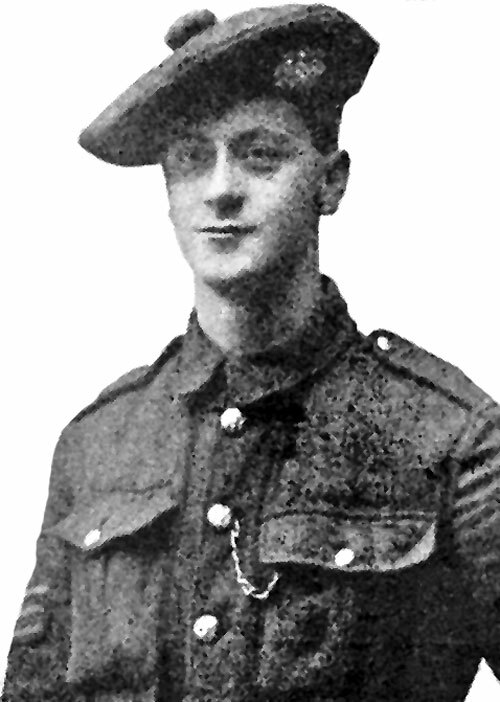 Sergeant Connor, of the 17th Battalion of the Highland Light Infantry (3rd Glasgow), had the unusual distinction of winning the Military Medal for bravery in the field twice in Flanders. He was the son of Irish-born village school headmaster John Connor and his wife Jeannie from Mochrum, Wigtownshire. He had two older brothers, railway clerk John and Henry, two older sisters, teacher Jeanie and Norah, and a twin sister, Eva. The family lived at the village school house for a number of years, then his parents retired to Armadale Street, Dennistoun, Glasgow. Norman joined the Army as a Private in 1915, and he served in France with his battalion for nearly two years. As an Acting Sergeant Norman was awarded his first MM in November 1916, and the Bar to the Medal five months later — when he was recommended for the Distinguished Conduct Medal. He also received the 1915 Star, and posthumously the British War and Victory Medals. A tribute in the Helensburgh and Gareloch Times recorded: “He was a fine soldier, to be thoroughly depended upon in any emergency. “Letters from his officers and others to his parents express their great admiration for his courage and character. In the United Free Church on Sunday September 16, the Rev W.E.Ireland paid a moving tribute to what he described as “so brave a man”. He also referred to the sorrow which had come to those who for so many years had been members of the congregation, and who still had numerous friends in Garelochhead. He is buried at Coxyde Military Cemetery at West-Vlaanderen, Belgium, and is listed on the Glasgow Roll of Honour.